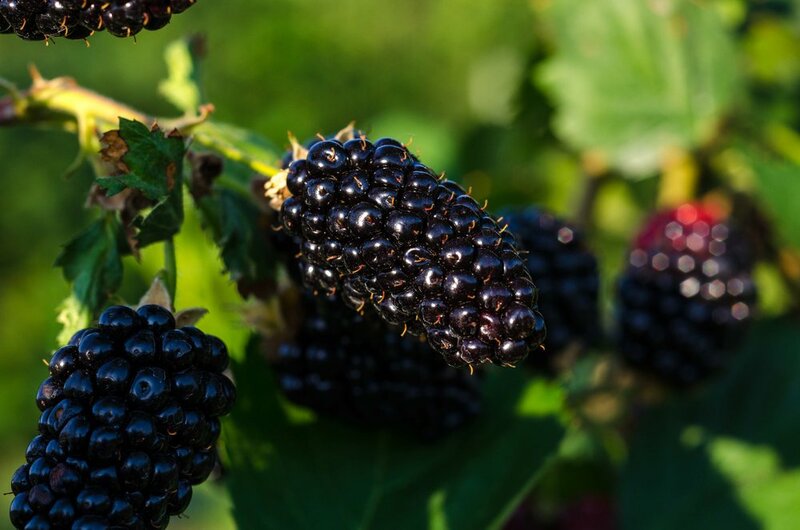 Big Spring Berries has 5 manicured acres of trellised blackberries. The more than 60 rows of berries contain three different varieties each of which have their unique traits. In addition to the blackberry field, there are an additional 5 acres of wild flowers which team with the blackberry blooms to nourish the near million bees living on the farm. Do not worry, these bees are more than happy to keep to themselves and make honey! Three varieties of berries are grown on the farm: Natchez, Ouachita, and Osage. The Natchez grow very large, imagine a blackberry the size of your thumb. The Ouachita, pronounced WAH-CHA-TAH, are firm and sweet berries. Lastly, the Osage berries have a lower acidic flavor and grow on bushier plants in the middle section of the field. Honey will be sold on behalf of theSAVEfarm.org and Golden Prairie Honey all berry season long. 100% of proceeds will go to these two great non-profit organizations which provide occupational agriculture training to retiring service members and veterans.